Thanks to the many artifacts of Ancient Egypt found mainly in tombs, we know many aspects of the habits of ancient Egyptian people. However, the archaeological remains need also to be interpreted. For instance, why was the mummy buried sometimes with small female figurines? Any text says a clear explanation, but we can assume that they had a regeneration goal, so we consider them as ancient Egyptian fertility statuettes. The mummy of Djedptahiufankh, Fourth Prophet of Amoun, dates from XXI dynasty and was discovered by Gaston Maspero, among many other ancient Egyptian mummies, in the cache DB 320 of Deir el-Bahari. Maspero found the corpse intact and he partially unwrapped it. He found some amulets typical of the Ancient Egyptian burial custom: a lotus flower, a heart scarab, a figure of a hawk made of silver… According to the sources, he also found the figure of two serpents made of some unspecified material on the neck of the mummy. The snake was a very common symbol in Ancient Egypt, but why had Djedptahiufankh a pair and on his neck? No inscription, no text…so we have to look at what we know about the funerary ritual in Ancient Egypt and the coincidences we can find when thinking of it. The main concepts are: “mummy”, “two”, “serpents” and “neck”. In which funerary context of Ancient Egypt these four concepts coincide? In the rite of “Cutting the lock of hair, the s3mt”. As we have seen in this research, in Ancient Egypt the mourning ritual made by the two professional mourners in the role of Isis and Nephthys had their hair as the main symbol. In some moment of the resurrection rite the hair or a lock of hair of these two women was cut with two purposes: behead the enemies of the dead and symbolizing the final resurrection and the recovery of the Udjat Eye. 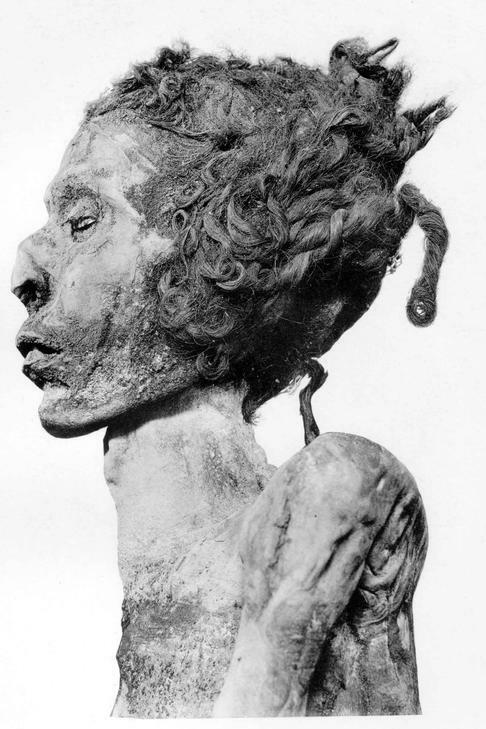 And many archaeological remains proof that hair was an offering made to the mummy. 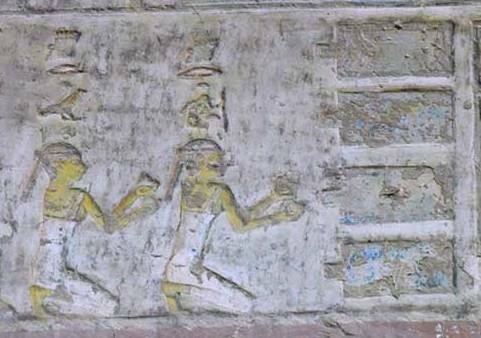 On the other hand, it is well know that in Ancient Egypt the snake was an image related to Isis and Nephthys; especially from the New Kingdom it was usual to represent the two mourners of Osiris like cobras. And hair and snakes were both symbols of rebirth in Ancient Egypt. Taking all that into consideration, could we interpret that these two serpents were maybe made with the cut hair of the two professional mourners (that is just a mere supposition), and put at the end of the mourning ritual on the neck of Djedptahiufankh gestures for the benefit of the Fourth Prophet of Amoun?